That the Coen brothers are among the most gifted and influential filmmakers of their generation is widely acknowledged, but their particular talent for endings has gone relatively unstudied. Wordsmiths whose endlessly quotable dialogue and one-of-a-kind characters have proven inimitable (though many have tried), they’ve showed time and again how powerful a knockout final scene can be. As you look ahead to their newest chapter, “The Ballad of Buster Scruggs,” take a moment to appreciate how their previous chapters have ended. One could accurately, if reductively, describe the Coens’ body of work as a mix of dark comedies and even darker crime dramas. Part of the reason why “Fargo” was so successful — it won the brothers their first Oscar, for Best Original Screenplay, and is rightly regarded as one of their finest films — is because it so seamlessly blends those two impulses. That’s nowhere more present than in its bittersweet ending, which hinges on three main elements: the grand melancholy of Carter Burwell’s “Fargo, North Dakota” swelling as sirens blare and the last surviving criminal is caught; Margie (Frances McDormand) telling Gaear (Peter Stormare), “There’s more to life than a little money, you know. Don’tcha know that?”; and the loving conversation she and her husband Norm (John Carroll Lynch) have just before the credits roll. After all the bloodshed, the Coens save the film’s most heartwarming revelation for last: Norm’s mallard painting has been chosen for the three-cent stamp. He downplays the accomplishment, but Margie couldn’t be happier for him. Then he rubs her pregnant belly and says, “two more months.” There really is more to life than a little money. 4. 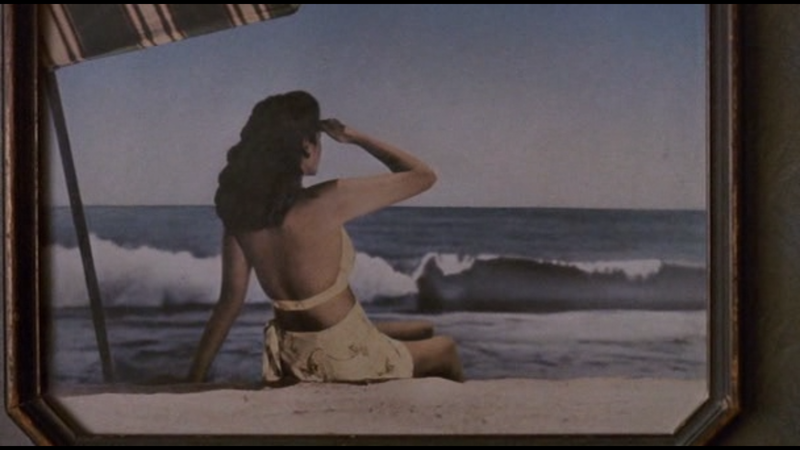 “Barton Fink”: Are You in Pictures? The casual brilliance of this closing exchange lies not only in the pun — the woman to whom John Turturro’s neurotic writer addresses his open-ended question looks like a movie star and the subject of a painting seen throughout the film — but, as is often the case with the Coens, its curious melancholy. After being shown the life of the mind by John Goodman’s terrifying, quite possibly chthonic Charlie, Barton finds himself not quite alone on the beach with few career prospects to look forward to but quite the view to gaze upon. The Coens have rarely been as surreal as they are in their Cannes-sweeping tale of a writer concerned with the common man, and its intentionally vague conclusion would invite frustration were it not so beautiful, even serene, in its strangeness. From the genuine confusion with which Barton asks the question to the seeming annoyance with which she responds, the sense that something is amiss never dissipates — even and especially when that seagull plunges into the water and this dream finally comes to an end. Then everything fades, not to black but to white — not unlike the blinding light of the UFOs we’ve caught glimpses of throughout the film, and a more comforting hue than the eternal darkness we’re more used to picturing death as. “The Man Who Wasn’t There” is nothing if not a downer, but it still manages to find some semblance of grace in the bleakest of moments. It’s difficult not to feel similarly hopeful as “Raising Arizona” comes to a close, even if its last image is H.I. opening his eyes after waking from his dream — which is quite a coincidence (or maybe not), given the film the Coens made exactly 20 years later. You might consider this one cheating, given that it’s lifted directly from the closing pages of the Cormac McCarthy novel on which it’s based, but the less-is-more approach to faithfully adapting such a beautiful monologue was a coup in and of itself. And though “No Country for Old Men” winning the Coens their long-overdue Oscars for both Best Director and Best Picture may have obscured its initial reception somewhat, it’s worth remembering that not everyone was onboard with what at first glance appeared to be a wholly unsatisfying ending. The good guy dies, the bad guy gets away, and all the other good guy (Tommy Lee Jones’ Ed Tom Bell) can do is tell his wife about a sad dream he had the night before. Think about that dream, though, and how — whether intentionally or not — it echoes that of “Raising Arizona.” In the earlier film, a father imagines his would-be son’s future accomplishments while looking toward the future; here, a son remembers his long-dead father and is comforted by the knowledge that his old man will be waiting for him when he himself passes. Then he wakes up. We see his face, his wife’s, and then his again. There’s no music as the Coens cut to black and no real resolution to speak of, and yet there’s something comforting in this lack of closure. Ed has survived the agent of fate that is Anton Chigurh, but fate itself is coming for him just as surely as it’s coming for the rest of us. At least he has someone waiting for him when it does.